It was summer vacation. My friend asked me to Qinghai Lake. Then we went. Though it was very hot, we still had a great time, enjoying the beauty of nature and yummy food. Last night we boarded the overnight train to Xian. At that time high speed train had not commenced (The Xian-Chengdu high speed railway has been put into use since 2017). Xian is a short stop in our tour to Qinghai. I woke up earlier than usual as I was not used to sleep on train. The carriage was quiet and others were still in their dream. The train moved forward along the bare mountain, which differs from the foliage clothed mountain in Sichuan Province. On the other side of the train flows green river with mist haunting over. It was quite hot in noon when we arrived in Xian. We saw the City Wall in sunshine and decided to go to our guest house first. Today’s tour starts with Muslim Quarter. 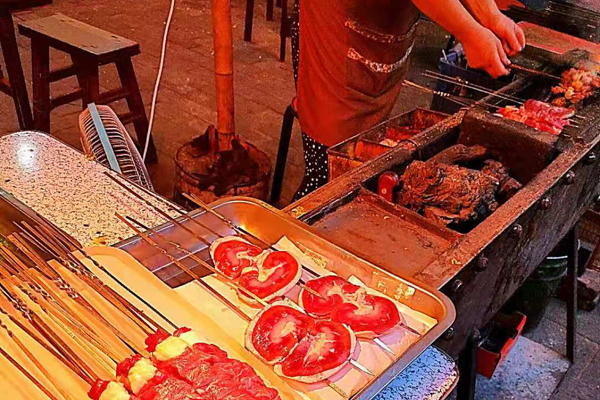 Bustling street was crammed with restaurants and side-street stalls selling Pita Bread Soaked in Lamp Soup, Rougamo, Cold Noodles, Kabobs, Pomegranate juice and Osmanthus Cake. I tried as much as food I could and followed with other tourists to stand in a long queue. Now I still remember the good flavor of Pita Bread Soaked in Lamp Soup and Osmanthus Cake. Being satiated with delicious food, we turned to a small alley and left the noisy crowds behind. A leisure walking after dinner was quite relaxing. Local young men rode bicycles and passed by. Elders sold home-made food at the corner. We bought some tea and souvenirs for families. Finally we went back to Bell and Drum Tower Square, where the biggest and most intact Bell Tower and Drum Tower in China stands. Night breeze blowing, we sit there and enjoy the night view. Today was quite hot too. We decided to pay a visit to Shaanxi History Museum, where lots of treasures are worth seeing and most importantly it is air-conditioned. To avoid queuing a long line for a free ticket, we chose to buy entrance ticket. 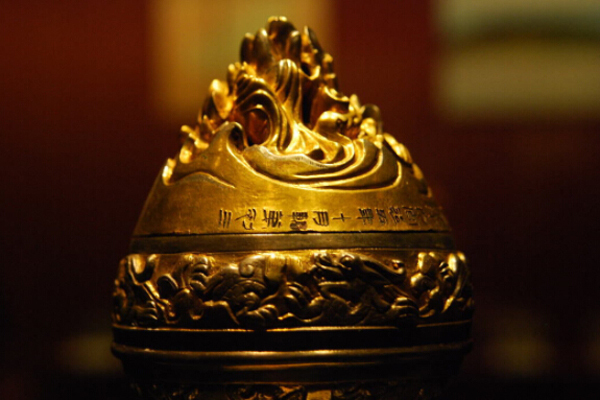 The museum exhibits historic relics such as porcelains, paintings, and currencies dating from the Zhou to the Tang dynastic periods (1100 BC to 907 AD). My favorite is the period from Han Period to Tang Period, because my favorite three treasures are from these periods. The first one is Gold and Silver fumigating Furnace, which belonged to a princess. Words on the furnace write that the emperor awarded it to his sister and her wife. The exhibition was nice with light and white smoke around, simulating its working condition in Han Dynasty. I assumed the owner’s palace must be very glorious. It was near noon and my friend felt uncomfortable. We changed our plan and went back to mall in downtown for a rest. Wandering outside in such a hot weather is impossible. This evening we took the train to Xining. 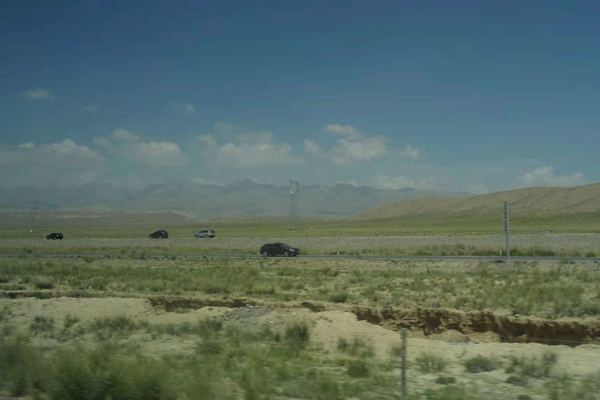 We arrived in Xining at noon, a high-altitude city. It was not as hot as Xian but ultraviolet radiation is stronger. After check-in at guest house, we set for Taer Monastery. It is a large Monastery along the hillside. Among these buildings, the roof of central building is made of gold, which attracted many tourists. We came to see it, which indeed was amazing. Inside the building, a tower made of gold and silver is decorated with emerald, agate and ivory, with barbola and hada around. It is said that a tree inside the tower is still alive, which is proved by a branch of it stretching outside the building. We sat in a small yard next to the hotspot. Those tour guides leading one group man came and went. See one group coming. They were chatting with each other and got excited about what they saw, bringing the temple a sense of usual bustling world. Then the guide called them to be quiet and he started his clear and vivid explanation. After this, the whole group left and the small yard sudden returned to its tranquility. My friend and I were left to sit there alone, enjoying the wild wind and soaking up the sunshine. It was quite interesting to hear different tour guides’ explanation. They told different details, though the main part is the same. Some of them were appealing, adding an air of mystery to the legendary Tsongkhapa. 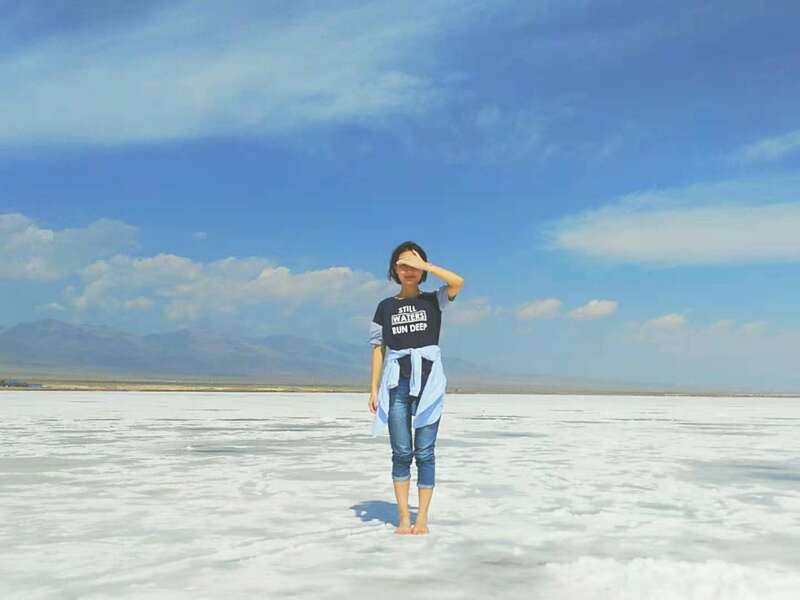 We two girls joined a group tour to Qinghai Lake and Caka Salt Lake. It was impossible to go there by our own because of remote distance. The mountain road bends treacherously in some leg. If one wants to driver by his own, he had to be a good driver. 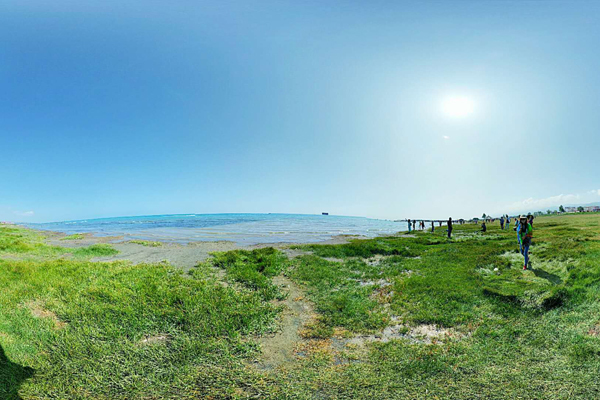 The two sites are worth seeing, especially in summer. But we should leave two days for them. One day for two sites was too hurried. First we went to Erlang Jian Scenic Area to enjoy the beauty of Qinghai Lake. It was quite cool in summer to feel the crystal clear water, watch the endless waves rushing to the shore, and feel fresh wind from the lake. But I preferred to the scene when I sat in car-the blue lake is trimmed with bright yellow rapeseed flower and green grassland, and behind is endless mountain under cloudless sky. It would be much better we could stop on the way. 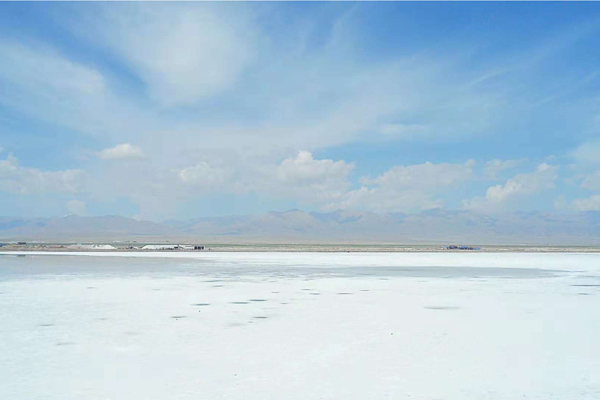 The second site was Caka Salt Lake, where I had more fun. We passed those dunes on square and rushed to salt lake. Taking off the shoes, we walked into the salt lake, giving a massage to the feet. I tried to walk far but I failed because my feet really hurt. The whole world was clear. It was the summer in northwestern part. 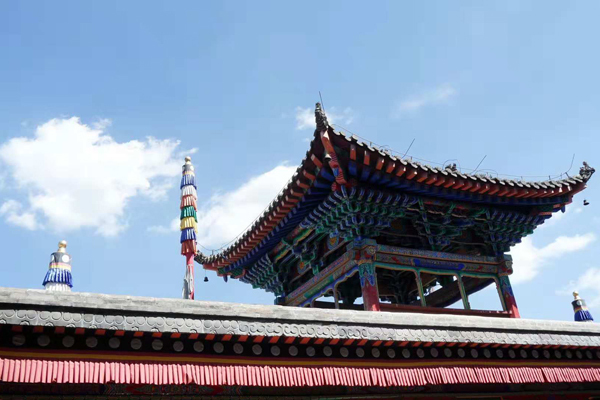 If you are interested in more tours about Xian and Qinghai, you can head to our Xian Tours / Xining Tours with different experiences. 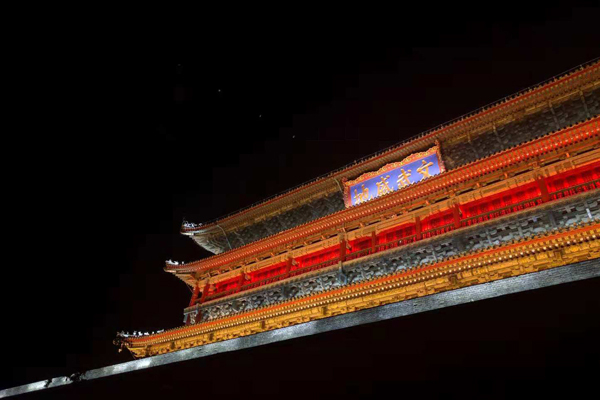 Feel free to select yours to explore the beauty of Xian and Xining! Want to know more about the experienced travel expert Lily’s trip? You could just contact her directly or continue to read more about her travelogues. This entry was posted in China Attractions, travel experience by Travel Expert. Bookmark the permalink.